The Respect Party have been accused of hypocrisy for condemning ballot-rigging whilst putting up a candidate who has a conviction for electoral fraud. 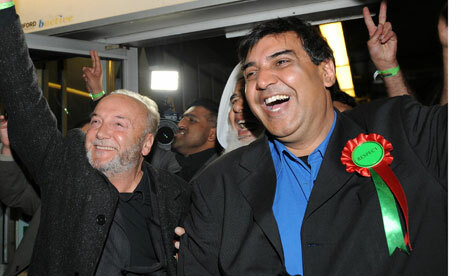 Arshad Ali, who stepped down as chairman of the party in 2012 when his conviction became public knowledge, spent 6 weeks in prison in 1997 for his part in fiddling Labour's landslide election victory. The Tories, Labour and Lib Dems on Bradford City Council have called for a change to the law that would ban anyone convicted of electoral fraud from standing for public office for life.